In a move largely anticipated since John Riccitiello’s return to Electronic Arts with a promise to bring change, the world’s largest game publisher (by sales) has announced plans to reorganize itself to streamline operation operations and speed to market. EA Games – which will be home to a broad assembly of multi-platform games. It will be led Frank Gribeau. Its titles include Medal of Honor, the Simpson’s and others. EA Sports – arguably the flagship, Sports will be home to EA’s leading interactive franchises from Madden NFL Football to Tiger Woods Golf to FIFA Soccer. The group will initially be led by current EVP Joel Linzer who will act as interim group president until a permanent head is chosen. The Sims –which will be home to the popular virtual world/simulation games. It will be led by Nancy Smith and will soon launch new Sims titles for the Wii and Nintendo DS. EA Casual Entertainment – which will focus on light-weight, more accessible/approachable games for console games as well as EA’s Mobile and online games. The group, which was announced previously to the company reorganization, will be led by recently hired Kathy Vrabeck. Its titles will include Harry Potter, and others. Supporting the labels, EA is also creating two support organizations: a Central Services Development Group to house operations and the office fo the Chief Creative Officer; and a Global Publishing Group responsible for marketing sales and distribution. A 3rd, unnamed operational organization will house Finance, IT, Legal and HR services. In streamlining the creative groups, the plan should help EA move more quickly in bringing games to market and reacting to changing play habits around the globe. The overall structure is designed to consolidate key decision making in the hands of a smaller number of executives and create a clearer path of ownership and accountability among management. Once in place, the structure should also help the company better control operating costs; a necessary improvement as the company tries to continue its global expansion and an R&D budget that has swelled over the past few years (in part to keep up with the proliferation of new hardware from console makers). 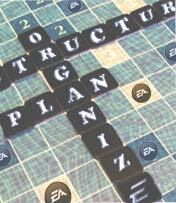 The restructuring is not expected to involve layoffs but it does seemingly bring cost-focus and control back to the forefront of EA’s strategic plan. With leadership assigned for the four groups, noticeably absent from the initial press releases and news was mention of EA’s current head of R&D, Paul Lee. While later reports have clarified Mr. Lee will be a Special Advisor to the CEO; exactly what “Special Advisor” means, and whether it’s an important role or subtle transition to the exit door, remains to be seen.